 The team here at esquire have all been in the property industry for over 50 years combined. We have come together from corporate property giants who we feel have lost touch with the most important element of the business, you the customer. We still believe in the old fashion statement, the customer is always right, instead of being dictated to and treated like a number to make up weekly targets, which is what these big companies primarily focus on. We will keep you at the forefront of our minds and treat each one of you as individuals. We understand everybody's needs are different, we want to listen to those needs and implement them into what you require from us as your agent. No request is too big or too small. We want you to be completely relaxed and confident you are making the right choice so you will not be pressurised in any way from us. 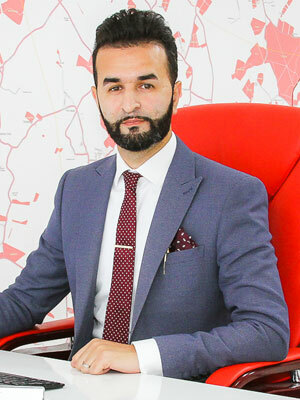 My name is Imran and I'd like to introduce myself as your local property expert. I have personally been involved in property for over 15 years now. I am known for my expert knowledge of the area and my nack of matching people with the right properties at the right prices for buyers and sellers alike. I started out as a trainee for a large nationwide company. My job was to generate business by canvassing, dropping leaflets and door knocking daily. I knocked houses on the market with the competition to see if I could help them sell if their agent wasn't doing the job for them. I became very successful and was rewarded by being promoted to a full time sales negotiator for a super branch in Luton. A year later I was promoted to a senior sales negotiator at a under achieving branch in Leagrave where it quickly went from making a loss every year to making profit in my first year. I won more awards along the way and quickly established myself as one of the top salesmen in the company. I was then promoted again to assistant branch manager. After a few years I decided I had reached all the goals I wanted to within the company and it was the right time to go off and start my own agency in the property sector so here I am today with the best people in the business by my side that want to bring confidence and trust back into people's minds about estate agents and do things the right way how they should be done. My name is John and I would like to introduce myself as your local estate agent and valuer. After completing a BTEC diploma in land administration, planning and surveying, I started my career as an estate agent and have never looked back. With over 10 years experience in all aspects of estate agency I have an expert knowledge of the housing market. I feel this is a fantastic time to open an innovative estate agents offering true value to our customers combined with forward thinking knowledge with the view of making your move our number one priority. It is my love of working with different people and properties daily that has enabled me to become an award winning estate agent and I look forward to working closely with you in the near future to achieve the best possible price for your home in a time scale that suits you. 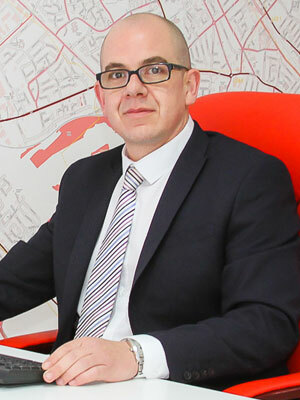 My name is Darren Attwood, Branch manager at the Leagrave office. I started in the industry back in 1997 working for a big corporate company in Flitwick, Letchworth and Luton then moved onto a large independent based in both Leagrave and Luton and then made one final move to another large independent based in Luton, Stopsley and Leagrave for the last 10 years. In all my time in the industry I pride myself on ‘the customer is always right Moto‘ and will always go that extra mile to ensure that your property is completed in a timely manner with as little hassle as possible. My favourite role is as the branch valuer giving my honest opinion of the pricing and market conditions ensuring that vendors are fully aware of the process ahead. I look forward to working with you all, please feel free to contact me anytime. I have over 9 years experience in the industry which includes sales and lettings. I am an honest and transparent agent that gives the best advise to all my clients. I Have joined Esquire as I believe in their ethos and it matches mine! Estate agency with a modern twist - we have all the technology and traditional estate agency know how to get the deal done the right way! I still carry the same energy, enthusiasm and passion which has helped me stay on top of my game and keep with the market trends as I did when I first started my career all those years ago. I am always here to give advice and go the extra mile to satisfy my clients, if you are looking for your first home, forever home or investment I am your local expert. 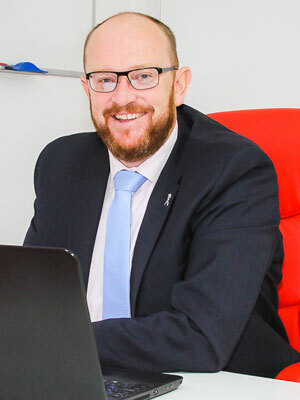 My name is Alan and I would like introduce myself to you as your local property consultant, my role is to assist you in finding the perfect property. I will be your first point of contact should you wish to view any of the many properties we have on our books, I will also be able to keep you informed before properties come onto the open market so you will be the first in the know for our hottest properties. Once you inform me of your requirements I will register your details onto our database so you will constantly be kept in the loop. My back ground and experience has mainly been customer service and that has taught me to listen and understand your needs to the finest detail so that will enable me to match you with the right property. I love working with different people on a daily basis and get satisfaction when I help my clients purchase a home. 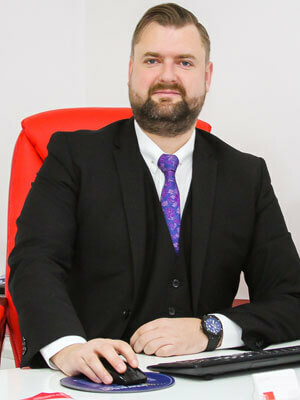 Please feel free to contact me regarding any of your property related matters, I am here to help 7 days a week by phone, e-mail or text message. I look forward to working with you. I have worked in customer service and sales for over 8 years now. I enjoy meeting new people and known to have a friendly and caring nature taking integrity and security seriously, in whatever case I’ll do my very best to deliver the service you need. I’m here in confidence by putting you in the right position for your property search, viewings and all other property queries you may have. Please don’t hesitate to contact me via phone or email and I’ll be here happy to assist you any day or time of the week and or alternatively contact the Esquire team in branch.